Talk about Pixar's three Toy Story movies here! what the is "signature collection signature"? has anyone ever seen these packs? the rest seems correct ..
A few years back Thinkway rebranded the Toy Story Collection line to the "Toy Story Signature Collection" which didn't really change anything about the line other than replacing the logo for each of the toys' boxes. 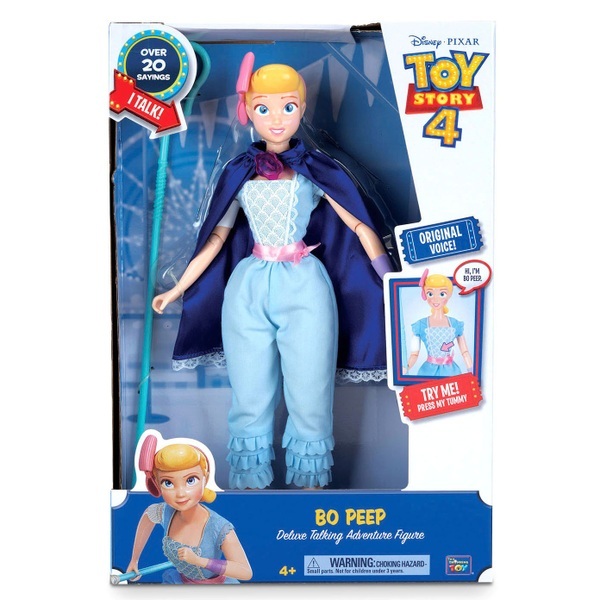 In other news, I found another image of the Bo Peep doll showed during GMA last week. It's being sold by shopDisney and will be a talking doll that will go for around $32.95. It's set to release around May. 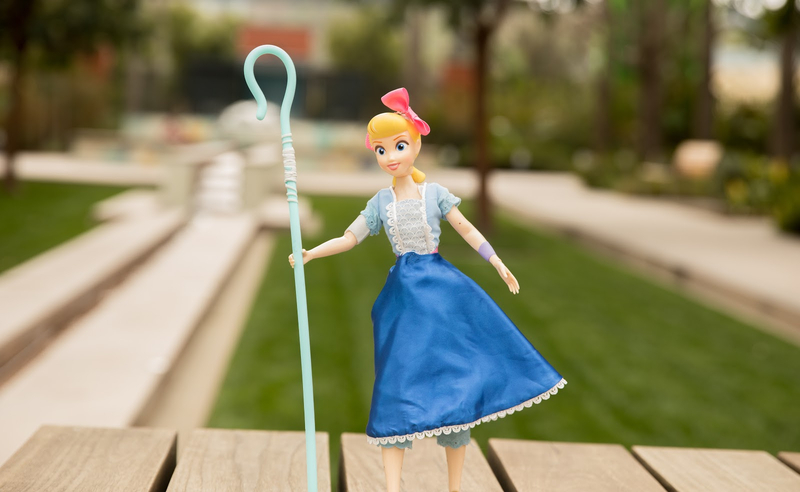 There's this 13.5 inch Bo Peep that's being made by Thinkway which doesn't really offer anything better than the Disney Bo but I'd hold out for a potential TSSC doll as we get closer to the summer. The face looks a little more accurate on the Thinkway one but who knows how the actual product will look. I have a feeling we’re all going to be disappointed by what’s offered this time around. TheSpaceSheriff wrote: A few years back Thinkway rebranded the Toy Story Collection line to the "Toy Story Signature Collection" which didn't really change anything about the line other than replacing the logo for each of the toys' boxes. Actually I wouldn't be shocked if that turned out to be a bootleg. The real signature collection box doesn't have two "signature"s in the seal/logo like that. Also, look at the other toys he's selling, that other woody has oddly painted eyebrows, they look like...candy canes? Why spend extra money on paint where it doesn't even belong? Edit 2: hmm, I guess the box might be that way do to being in another language. Still seems odd to me though. As for the bo stoys, not impressed so far. But maybe with the pink dress on her I'd change my mind a bit. at this price range I dont think they would do her justice though. She needs to be porcelain/resin. not much articulation, and include the lamp. 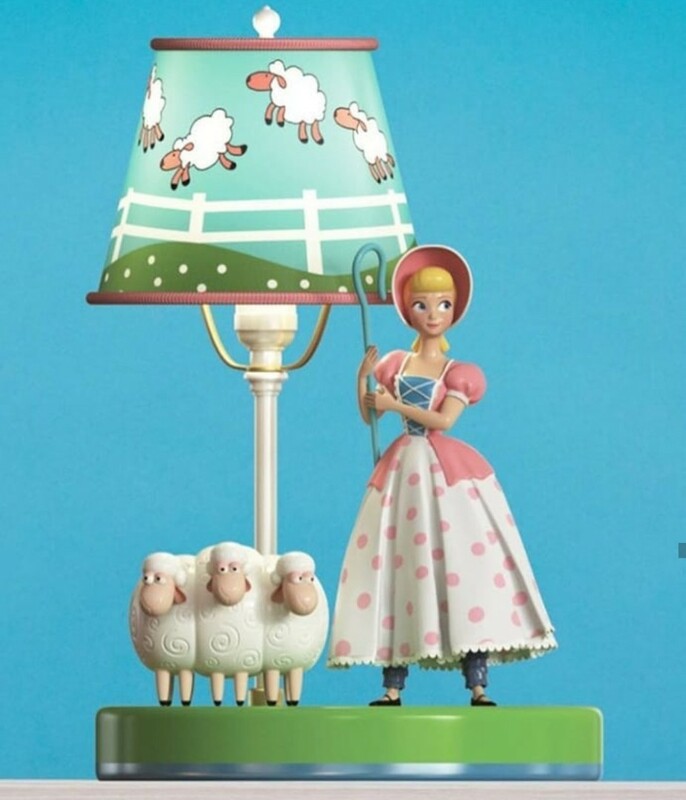 There is a Bo Peep with her sheep and lamp which is being sold online. I don't have the link right now, but I'll post it here as soon as I find it. I will post a pic here for you guys. I am so excited for TS4 and all of the exciting new merch that comes with it. I am praying for an accurate Bo! She’s always been one of my favourite characters. "What are you lookin' at ya' hockey puck!" Hate the fact the forums are so inactive nowadays since it's so easy to double post but I recently saved up enough money to purchase the Medicom Ultimate Woody released around the time of Toy Story's 20th anniversary. Even though his default toy mode head seems a bit off and his skin tone is a weird pale color, he blows the TSSC Woody out of the water in terms of poseability, shelf presence, and accuracy. I can post size comparisons with the other toys if anyone's interested. Thanks for sharing! 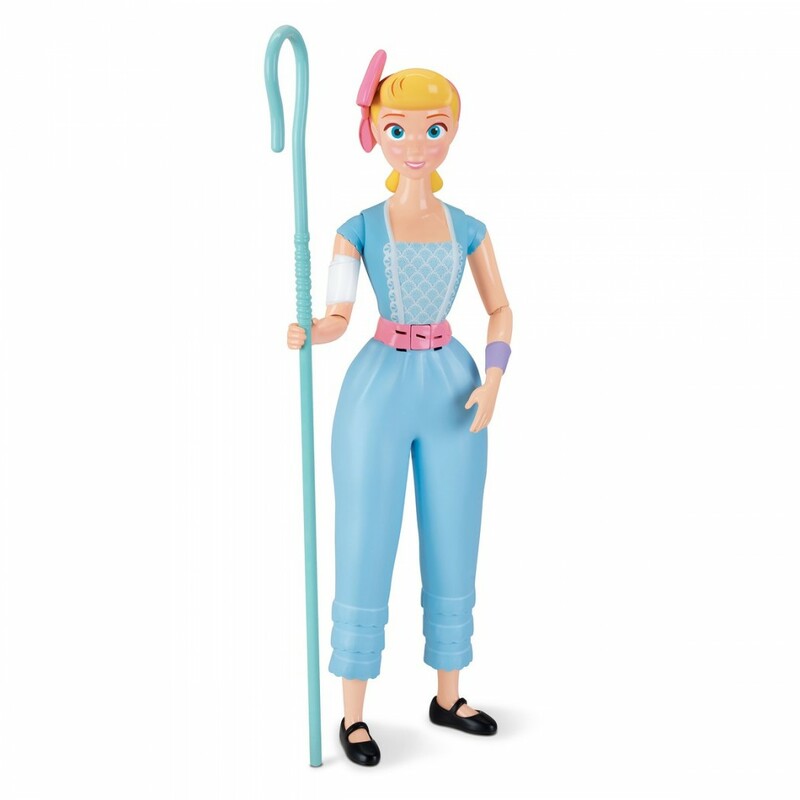 That Bo Peep looks pretty good to me - much better than Mattel's efforts with rooted / doll hair. Other than removing the articulation, I'm not sure what else Thinkway could do to make it a "Signature Collection" figure - maybe include her classic outfit? TheSpaceSheriff wrote: Hate the fact the forums are so inactive nowadays since it's so easy to double post but I recently saved up enough money to purchase the Medicom Ultimate Woody released around the time of Toy Story's 20th anniversary. Even though his default toy mode head seems a bit off and his skin tone is a weird pale color, he blows the TSSC Woody out of the water in terms of poseability, shelf presence, and accuracy. I can post size comparisons with the other toys if anyone's interested. Love to see some pics when you get the chance. Trying to decide if I want to get one. Desperately want the toy mode face but it does look slightly off and the skin tone is weird. Congrats on the purchase, TheSpaceSheriff. The Ultimate Woody has been in the back of my mind for a while, but I just can't bring myself just justify the price tag. But it probably is the most film accurate Woody to date, and I don't see that changing anytime soon. Although it does make me appreciate all that Thinkway accomplished for the price it sold for. Though at the same time, I feel that companies keep missing the mark by throwing in all the bells and whistles. Objectively speaking, it seems like the '95 Thinkway doll had the right mindset for just translating the Woody doll onscreen as best as could be done in real life. The TSC version had play features and the Medicom Woody had the additional heads and hands, in addition to the high tech eyes that are becoming standard on high end figures. Those contributed to the substantial price when most collectors just wanted a straightforward Woody doll. Also, if the Ultimate Woody was the '95 design instead of being based on the Toy Story 3 model, I would drop that $400 in an instant. Yeah, he's pretty pricey even for all his new bells and whistles. I personally liked his wider range of poseability on top of the closest to a closed mouthed smile Woody we're ever going to get. I bought him off of CDJapan and the figure came pretty fast considering it was on backorder. I snapped a couple pictures with the Medicom Ultimate Woody and some of my others toys to see how he stacks up. I had a bit of fun swapping heads to do different poses. Standing next to my original TSC Woody from '09, his skin pigment looks really off and he doesn't have the same denim texture most of the early TSC Woodys came with. Props to Thinkway for still making a pretty detailed figure despite its shortcomings. Making him sit on Bullseye's saddle was a bit of a challenge since his joints towards his hip area doesn't really extend far enough to let him sit on the saddle normally. I ended up making him sit at somewhat of an angle. Taking pictures with him also made me realize how small the '95 Bo Peep doll is compared to how she actually is in the flashback scene in TS4. I hope Thinkway releases a version of her in her classic outfit. I really hope Thinkway makes Gabby Gabby and her henchmen for the Signature Collection. I also really hope that the Bo lamp posted earlier is size-accurate. Its probably just flesh tones in general. The early runs of toy story collection figures were pretty accurate, though by the time I was able to get Jessie even she had a bit of a greyer tone. This is true of other lines too. I have a link amiibo that also looks pretty pale. Hey guys! A few pictures are making the rounds on Instagram...Of new Toy Story 4 Mr. and Mrs. Potato Heads by Playskool! It's basically the newer potato body (the model they've been using since 2011) with newly-sculpted eyes, mouth, mustache, and nose, and the old hat, shoes, and arms. I think the newer potato bodies somehow lend themselves better to the movie potato heads' proportions than the older, longer bodies do, especially since the arms can be set lower on the body. Even though Mrs. Potato Head's eyelashes are huge for no conceivable reason, I think with some added eyebrows and swapped ears these could look really good, and close to movie-accurate even with the single eye pieces. If the people who took these pictures are on here, please make yourselves known. Those sharing these have been pretty tight-lipped about where they got these pictures from, but the packaging is consistent with early sightings of the new Toy Story 4 editions of the Woody and Buzz-themed Mr. Potato Heads.